Bit of an inception moment this, featuring a website, on the same website that it is being featured on! But hey, we are excited, we are happy, and we are really proud to announce the release of OxGadgets 1.0! OxGadgets has been operating in beta for about 5 months now, and we are really excited to say that from now on, we are officially version 1.0. There are some rough edges, and there is still some playing around to do, but we’d like you to have a look and play around and tell us what you think. Most importantly, we’d like you to spread the word, as well as tip us if you find any stories you’d like us to cover. And last, but not the least, and most importantly, we’d like to thank each and every one of you who has visited our site the last few months, and has supported us, and has left comments, and just done simple things like retweet our articles, liked them, and much more. We thank you all! 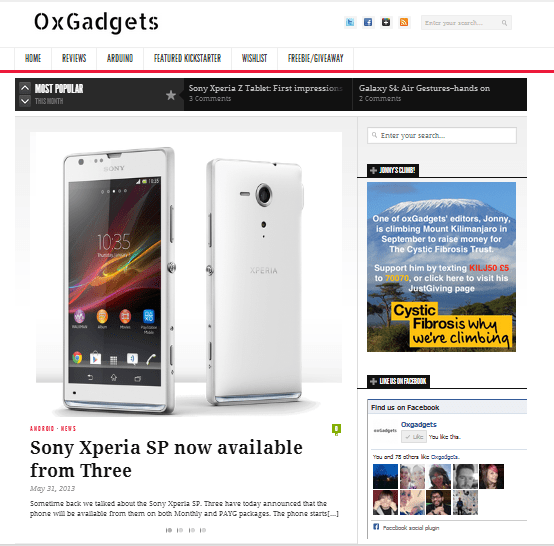 Feel free to drop us a line at contact@oxgadgets.com if you have any comments or suggestions! Over the next few days and weeks we’ll hopefully be bringing our own Flickr stream and YouTube channel.